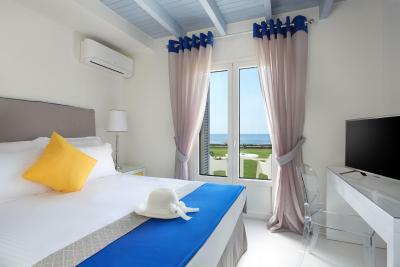 Lock in a great price for Mareggio Exclusive Residences & Suites – rated 9.6 by recent guests! Our room and outdoor spaces felt like home. 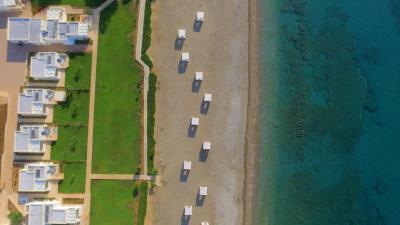 EVERYTHING- the rooms, grounds, beach-was kept spotless. The beach cabana was especially comfortable. Breakfast was great. Watching the sun light change the views of the sea, mountains and Gytheio was mesmerizing. This exclusive residence is at it says.. exclusive! We loved our stay in the private chalets, private cabanas, private breakfast, private service, private everything! Adriana was really helpful assisting us should we needed it, the food by Madja was delicious and the owner Ilyas was really kind. We would definitely visit again. Extremely professional and attentive reception lady that made this short stay (we stayed only one night) one of the best in our trip to Greece . The facilities are super nice with much attention to comfort and detail. The truly resort-style breakfast in our private terrace was a highlight. We enjoyed the proximity to gytheon for the choice of restaurants. 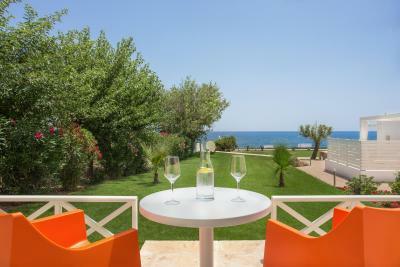 Amazing place directly on the beach, small property with privacy. Clean, modern and minimalistic accommodation. Best place to stay in / around Gythio. Everything. Location, facilities, staff. 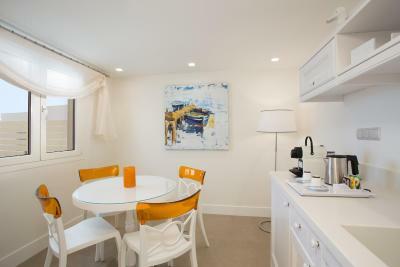 This place is built from high-quality materials, you can see that the owner has done everything for his guest to enjoy a vacation: beautiful houses with terrace, green grass with roses around, beautiful beach with private cabanas. Heaven in the south! 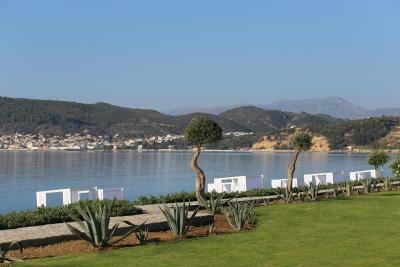 Very good location-only 2 km from the picturesque village Gythio. Good to relax and not so far from dining places. 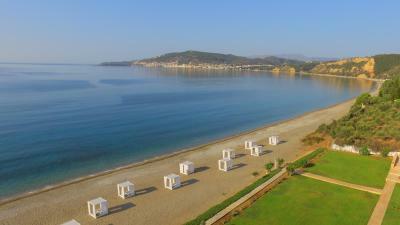 I think it is the best option to stay in the south of Greece! Amazing location, friendly and helpful staff, excellent breakfast! 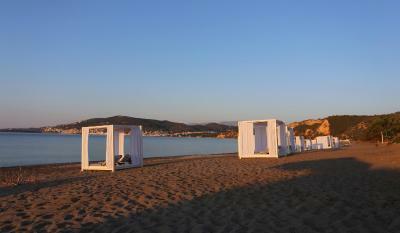 The location is perfect, private beach, each room has its cabin with beach beds. 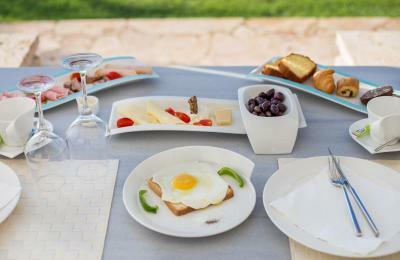 The breakfast served on your terrace is delicious, you chose every evening what you want to eat at breakfast and at what hour. 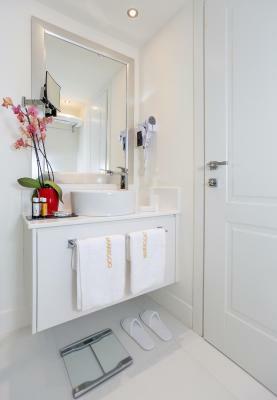 The room is very well equiped with everything you need, including bathrobe and slippers and is cleaned daily. Absolutely unique hotel. 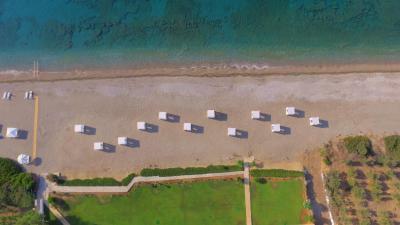 Only 11 bungalows directly on the beach. Exceptional cleanliness, comfort, breakfast, staff. Sunny terrace, deck chairs, umbrellas, cabanas. Hotel like a cherry on a cake. Worth the money. Very nice and calm place where we spend 2 lovely weeks of our holidays. Very supportive staff. Quite good breakfast but after 2w starting to be boring as it too less options. 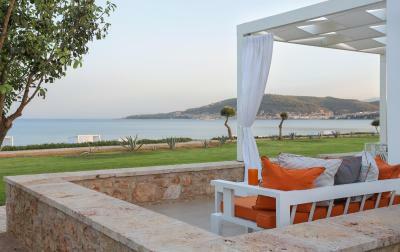 One of our top picks in Gythio.Mareggio Exclusive Suites is located in Gytheio, 27 mi from Monemvasía. 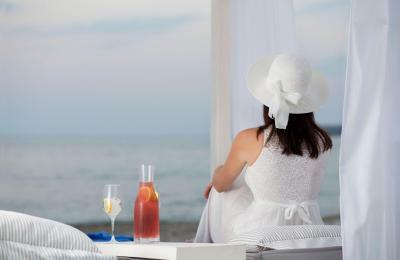 The hotel has a terrace and a private beach area, and guests can enjoy a drink at the snack bar. Every room at this hotel is air conditioned and is equipped with a flat-screen TV. 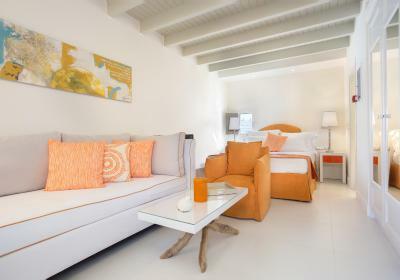 Certain rooms include a seating area where you can relax. Some units feature views of the sea or garden. 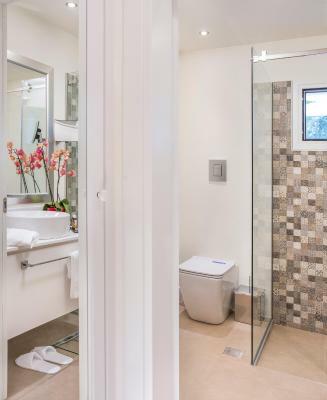 Each room comes with a private bathroom. 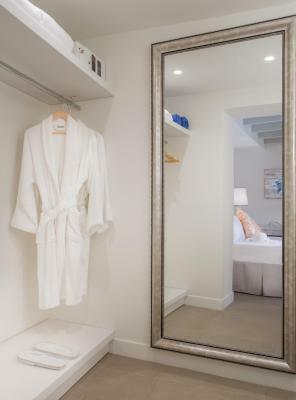 For your comfort, you will find bath robes, slippers and free toiletries. The hotel also offers car hire. 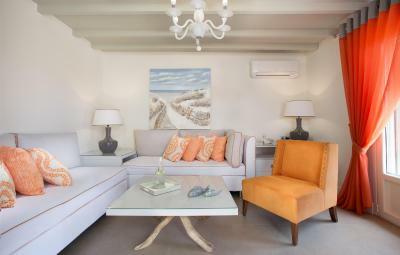 Sparti is 22 mi from Mareggio Exclusive Suites, while Elafonisos is 29 mi from the property. 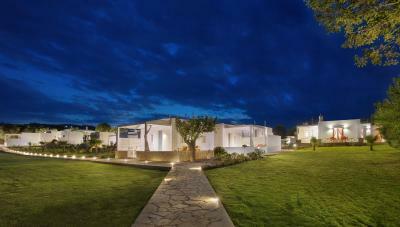 The nearest airport is Kalamata Airport, 36 mi from Mareggio Exclusive Suites. 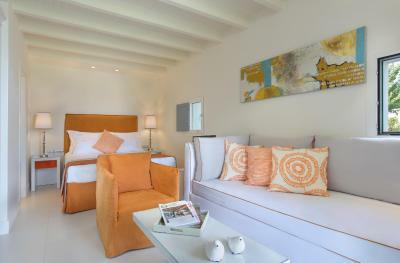 When would you like to stay at Mareggio Exclusive Residences & Suites? 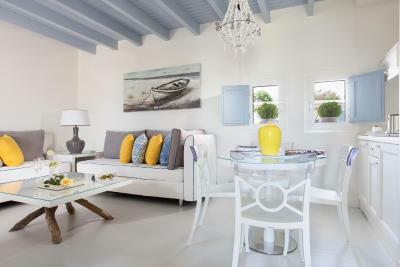 Simple yet tasteful, this suite opens to a terrace with partial sea views. It also comes with a private terrace and soundproofing. 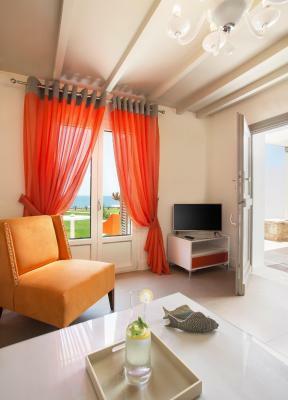 Simple yet tasteful, this suite opens to a terrace with sea views. It also comes with a private terrace and soundproofing. 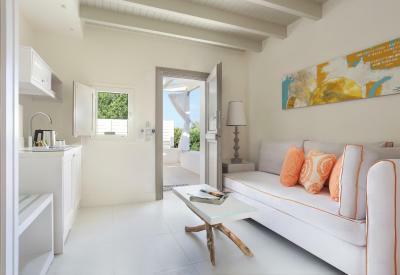 Boasting a 1312 ft² garden, this suite opens to 2 private terraces with sea views. Blending traditional design with modern toucehs, this suite also consists of a pebbled bathroom. 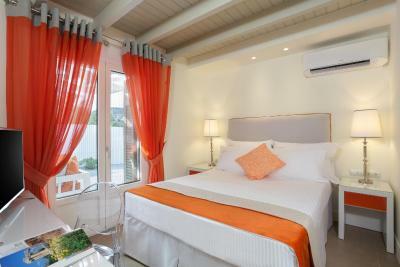 Spacious suite featuring a 1640 ft² garden and magnificent sea views. It comes with stylish furnishings and a spacious living room. Opening to a private terrace with outdoor hot tub, this spacious residence combines spacious and comfortable accommodations with tasteful furnishings. Opening to a private terrace with garden views and an outdoor hot tub, this spacious residence combines spacious and comfortable accommodations with tasteful furnishings. 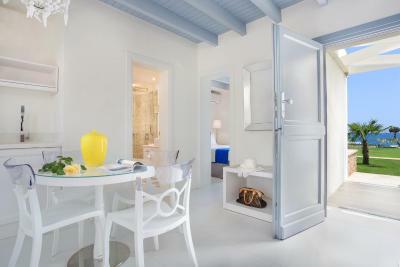 Decorated in white and blue tones, this suite features a 1312 ft² garden and an outdoor hot tub. It also includes 2 terraces, wood-paneled ceiling and pebbled bathroom. Escape to the secret bay! 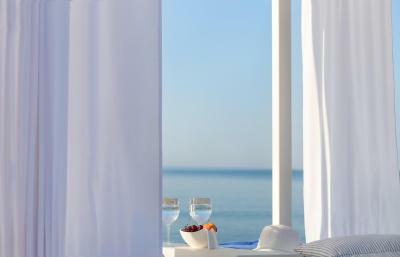 With respect to privacy and personal space, Mareggio harmoniously blends refined style and services with the bliss of the seaside. 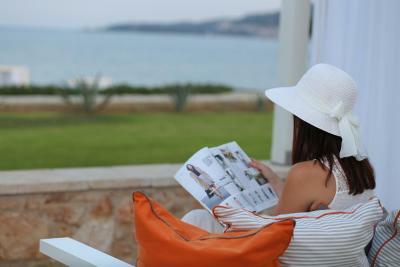 We set a wholly new standard for exploring the southern Peloponnese, while enjoying utmost comfort and tranquility. 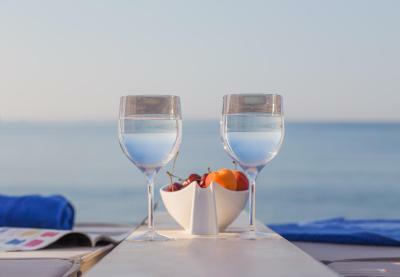 The residences & suites are well hidden at the secret bay of Selinitsa, close to the picturesque port of Gythion and surrounded by the natural beauty of Mani area and the mountain of Taygetos. 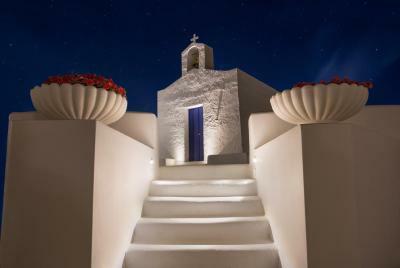 A secluded intimate hotel for delightful stay for the nature lovers, romantic couples and families. 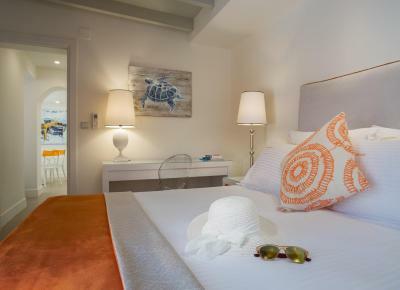 All the Residences and Suites fuse high style and comfort with an eco-friendly sensibility where the guests can avail themselves the personalized quality services and a number of additional activities nearby. 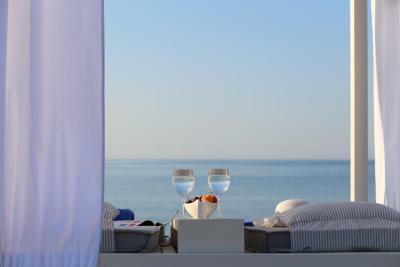 The crystal water, the sun and its reflections with the morning breeze will soothe mind, body and spirit. 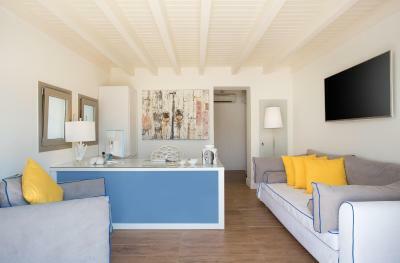 House Rules Mareggio Exclusive Residences & Suites takes special requests – add in the next step! Mareggio Exclusive Residences &amp; Suites accepts these cards and reserves the right to temporarily hold an amount prior to arrival. Mareggio Exclusive Residences & Suites accepts these cards and reserves the right to temporarily hold an amount prior to arrival. Please note that the restaurant and the bar operate from June until late September. Maybe a small improvement is needed of the breakfast: you can find better quality local yogurt, jam and enjoy butter instead of margarine. But other products were of superb quality (bread, croissants, tea, coffee, etc). A better lunch time menu with more pool side snacks. Other than that this hotel is amazing. Only thing I would improve would be having room service for food available later in the day. 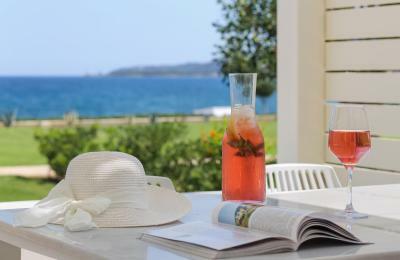 The best place for a perfect break! It's hard to find because it's on the beach itself, but if you follow the signs you will not have a problem! The staff is super friendly, the rooms are large and the beds are comfortable! 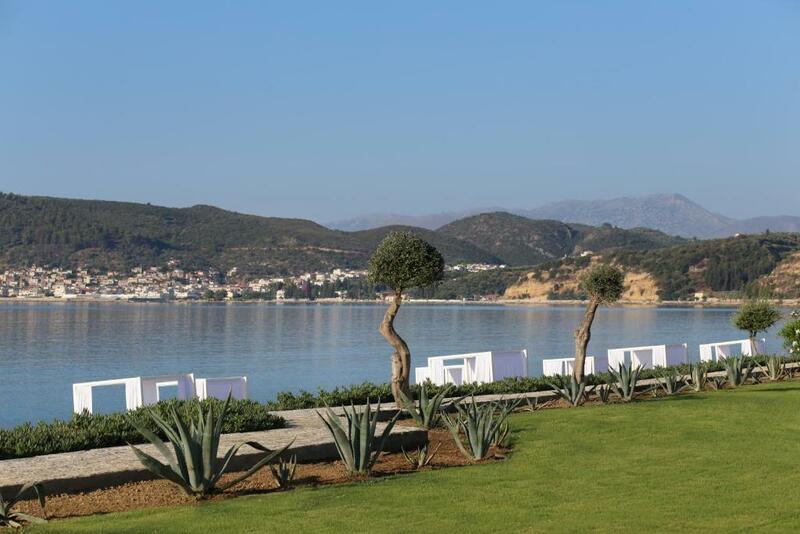 At Gytheio there is a wonderful Saga Restaurant where you can eat fresh fish! If you are looking for peace and quiet - this is the place! The beach is just outside, and the cabana was an added bonus. 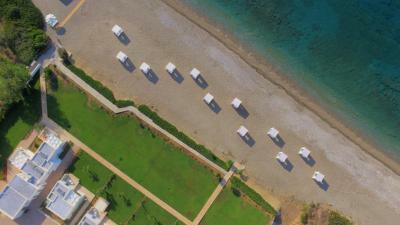 The small number of suites and the location a short drive from the town makes the beach quiet and relaxing. The 1 bedroom apartment was spacious for our family of 4. The staff were always cheerful and helpful. A perfect getaway! See you next time!